Inspiration is like magic: you never know what’s gonna pop up and where from! While looking for some new things to wear this (hot) summer, I surrounded myself with tons of fashion references, many, many images to produce the right kind of style spark you need in your wardrobe! What happened instead? Well.. I found inspiration for my next nails, not my next clothes! 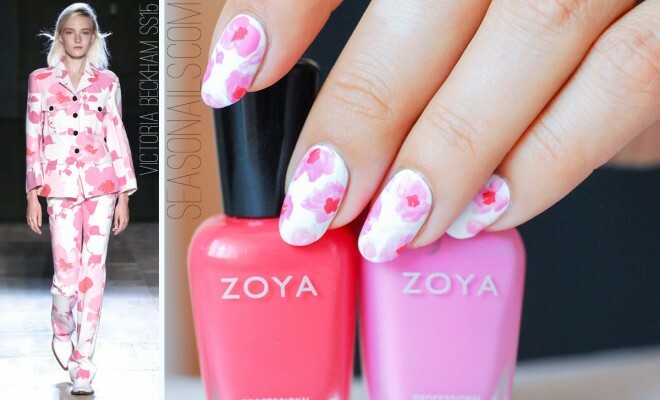 Guess I’ll be just wearing my nails this summer – how about you? 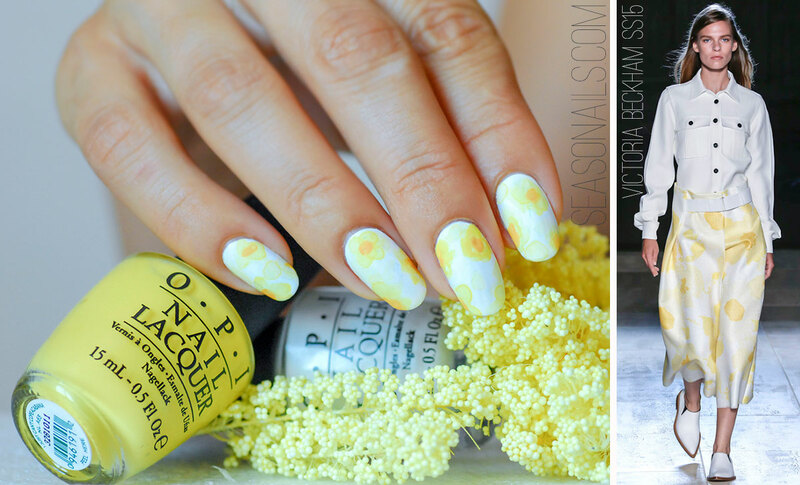 Don’t miss: The Minions Nails: easy to do, fun to wear! 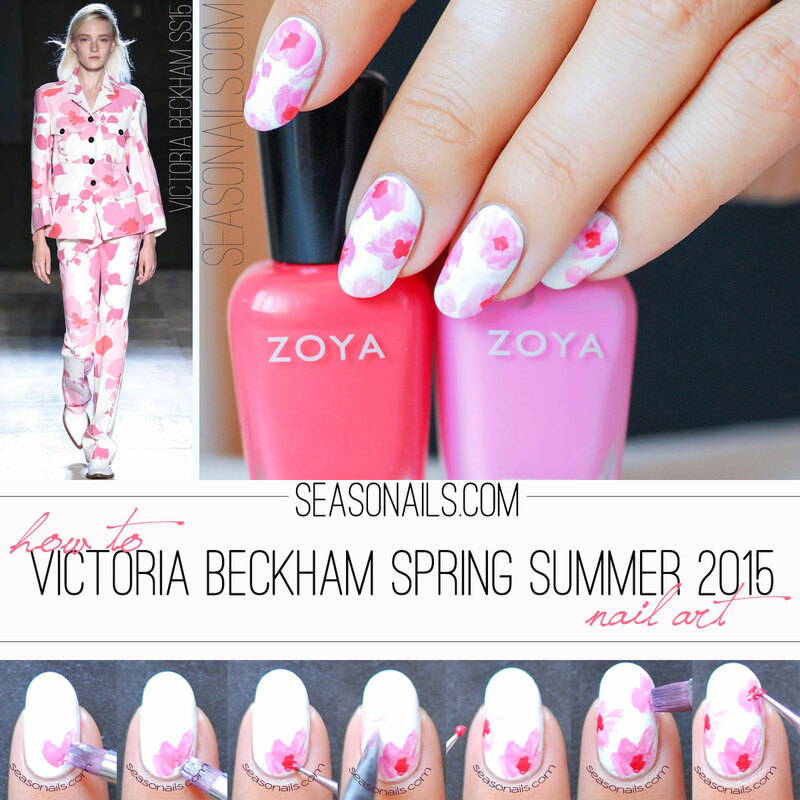 So since my nail art is my main fashion focus at the moment, I’ll delay no more the pleasure of wearing a Victoria Beckham Spring Summer 2015 collection inspired manicure! It all starts on a clean canvas of pure Alpine Snow white (you’ve seen me using it so many times before, it would be safe to assume that this is my favorite white base – do share yours if you have experimented with more white ‘undies’ as they’re called). After that, it’s just a matter of finding the right pink and coral-red to match the Victoria Beckham print. 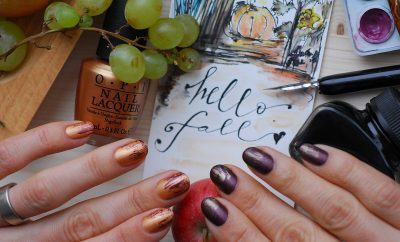 I used Zoya Sweet and Zoya Kara and played around on a piece of paper before throwing myself on an adventurous nail art road! 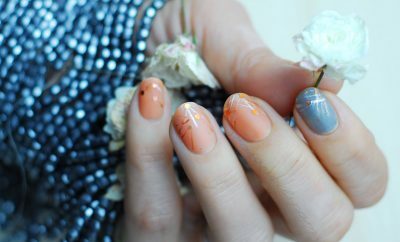 As it happens, I’m a huge fan of abstract flowers and abstract motifs in general – to this day, I cherish my Zebra nails or my Festival nails as one of my dearest manicures! 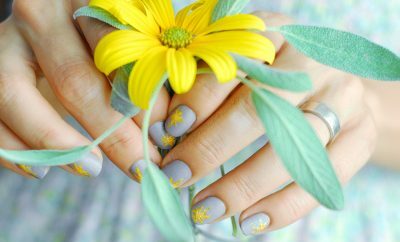 Dare: This summer’s blockbuster on your nails: Inside Out Nail Art! 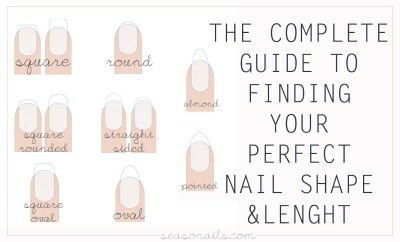 So I tried to explain the best I could, in images, the way to go if you want to replicate these Fashion Nails! 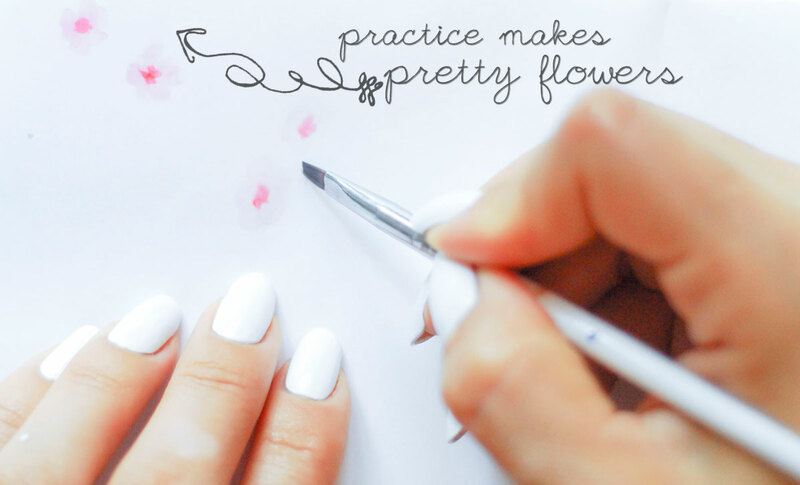 I enjoyed painting my nails as I always do – particularly the process of creating the model, going through shape adjustments and freehand trembles. It’s way more demanding than stamping (or decals), but I think it’s more rewarding – and I’m only saying that because I’m a complete failure when it comes to stamping and I can’t do otherwise but freehand my way into the nails world! That’s why I have Sasha around, to keep the stamping hope alive! oh! 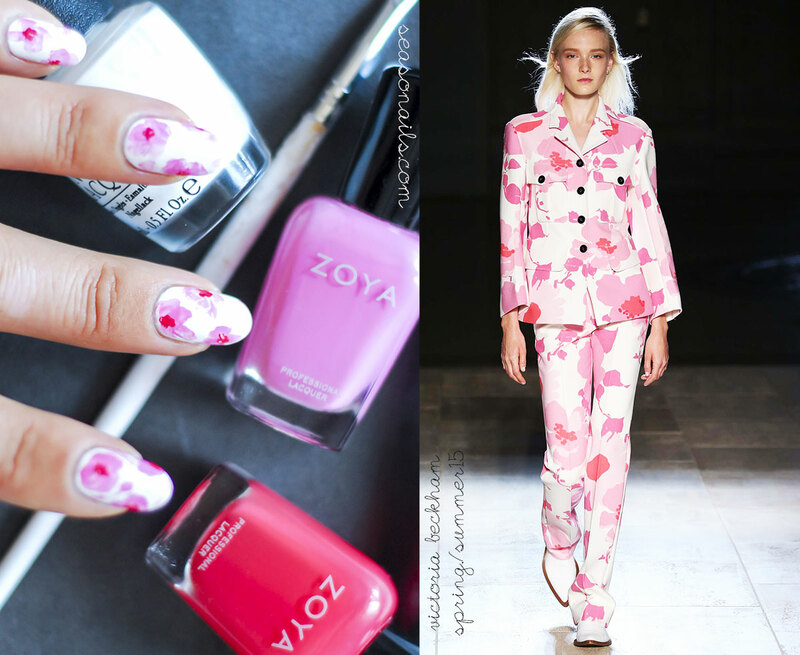 and yes – you know I can’t be trusted to paint both my nails the same way: I painted my left hand with the pink flowers and the right hand nails with yellow flowers, also inspired by the same Victoria Beckham SS15 collection! 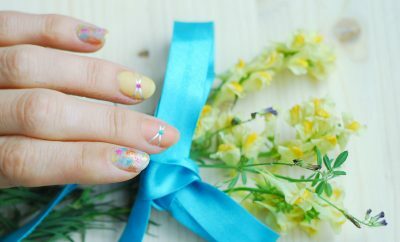 It really is fun to wear your nail art two ways! Thank you! It’s so amazing to see big brands taking the time to really appreciate and interact with the little consumers! It almost makes you feel special (blushing). I think they’re marketing approach is very modern and considerate and that makes me like them even more (which I honestly didn’t thought possible).